We have all heard the old adage bigger is better. While not always the case, when it comes to the Genuine Innovations Top Dog Legend floor pump, the adage holds true. Yes, believe it or not, I am doing a product review on a floor pump. 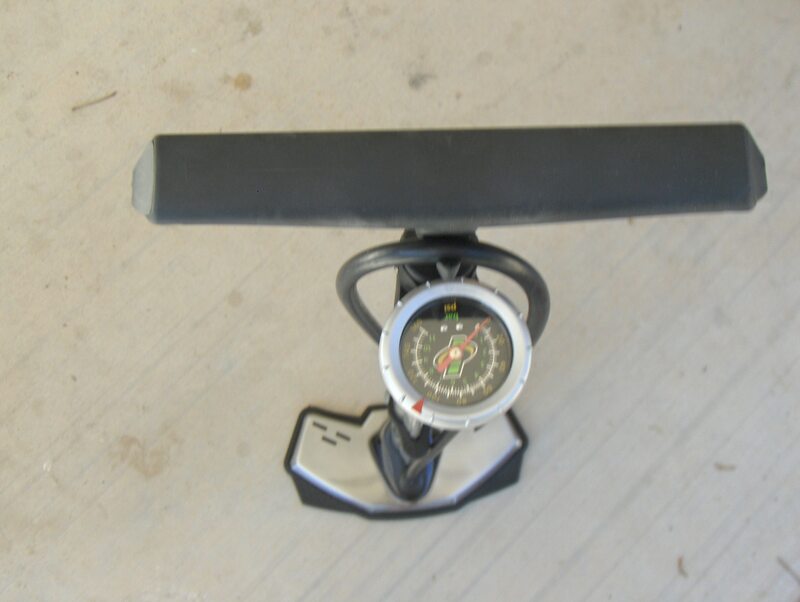 While not exciting like a disc wheel, a good floor pump is essential to cycling and triathlon. 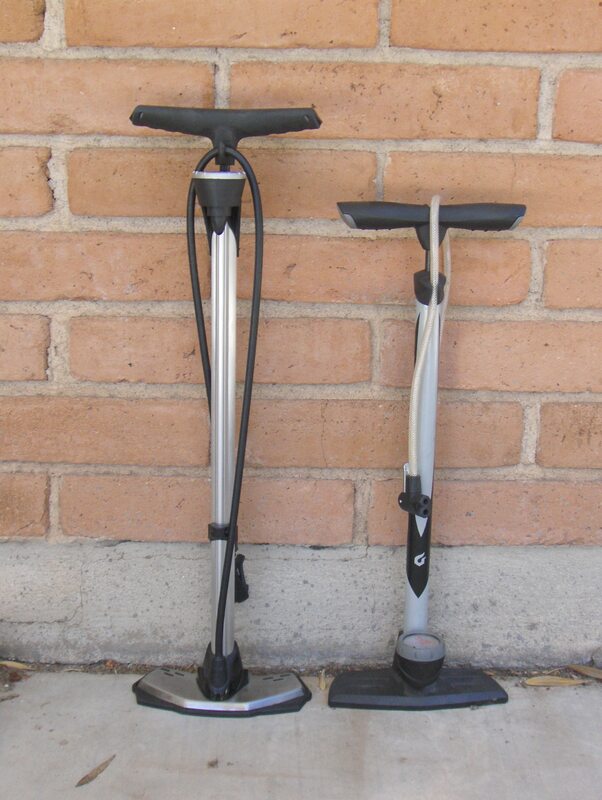 The average floor pump stands about 26in tall with a 38 inch long hose and a pump head adapter that is about 1.5 inchs long and has two air openings. One for presta valve and one for schrader valve. The Top Dog Legend has a 48in long hose, a 3 inch long adapter head and only one air valve that does double duty for both types of valves. The top dog takes a tire from flat to 110psi in 20 pumps, it took my other floor pumps 29. Both the longer hose and higher volume of air per pump should be positives if you are tech support facing a long line of people needing air. There is a top mounted gauge making it easier to read. 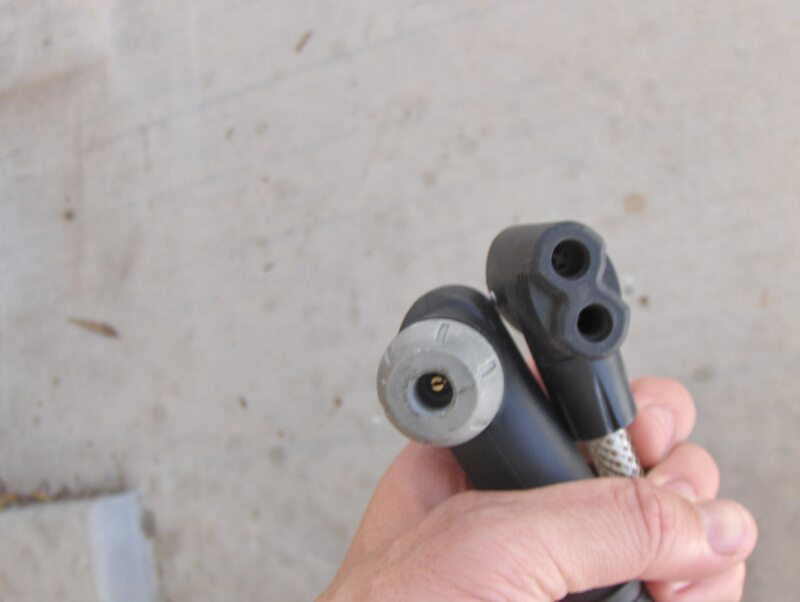 The longer hose allows you to inflate more tires with out relocating the pump. This would be especially handy at races where transition space can be at a premium or you have multiple bikes and wanted to inflate all the tires with out moving. For stability the base is a mix of plastic and metal. Most floor pumps come with just plastic bases. It’s nice to not have to bend over so far to pump tires, it’s nice pumping them up in less time. The gauge is very easy to read and the dual valve head is a plus. But as nice as it is, and as much as most other pumps are mediocre, is it worth paying 2-3 times what a normal pump costs? Probably not, well maybe double. It is a rather sweet floor pump, but not triple. Would I go out and buy this pump if my only floor pump broke. At the right price or faced with crappy pumps, damn right I would. Yer sucking up to marty!